Mac OS-X users are downloading a DMG image that shows as a disk. The entire CyberRat folder must be copied from the DMG window onto your HD and the CyberRat application must remain inside this folder for proper use. 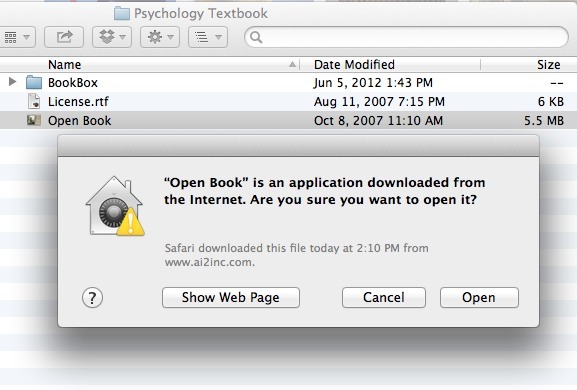 ATTN: Mac OS X 10.8 and Higher Users! 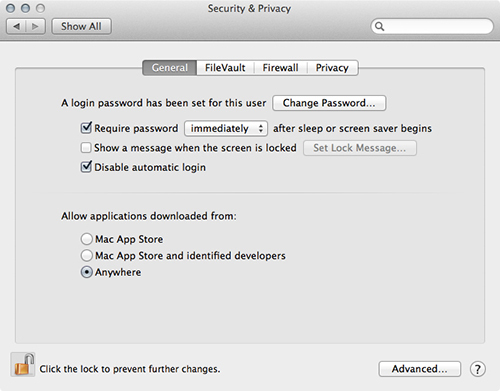 Beginning with Mac OS X 10.8 (Mountain Lion) and later OS upgrades, Apple added a new feature called Gatekeeper. This new feature prevents unknown applications from running on a user’s system by default. Users running one of these OS versions may recieve a message stating that the application you have downloaded is from an unknown developer. This is because by default, Mountain Lion will only allow applications from App Store and developers identified through the Apple Developer Program to run. However, this setting can easily be changed for accepting all applications through the user's System Preferences. 1) Open the System Preferences either through the Apple Menu or the System Preferences icon in the Dock. 2) Click the Security & Privacy system preference in the Personal section at the top of the preferences window. 3) Click the lock icon in the lower left corner of the Security & Privacy window and enter the administrator password to unlock and allow changes to the system settings. 4) Once unlocked, you may now change the Gatekeeper settings. Simply select Anywhere in the bottom section labeled Allow applications downloaded from: under the General settings tab. You may now quit the System Preferences and run applications from any developer.